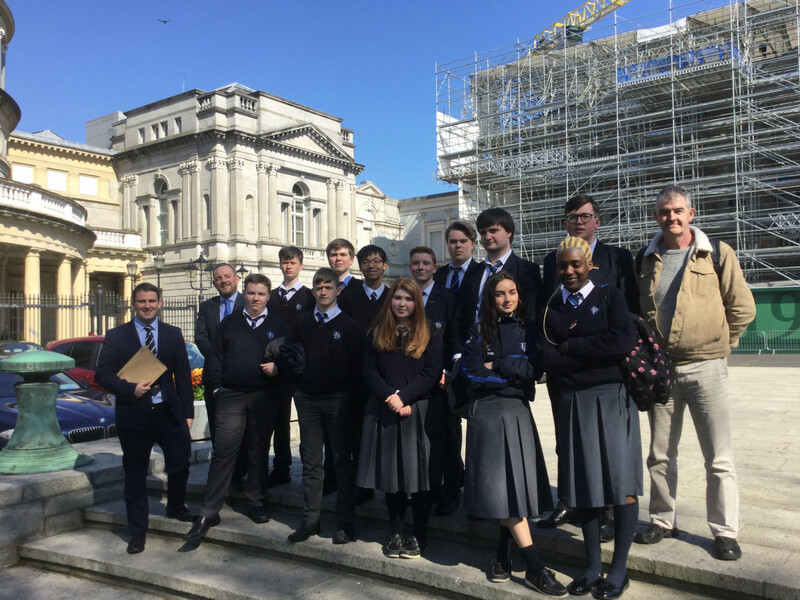 Economics and Politics students meeting John McGahon, Louth Councillor and past pupil DGS, Senators Gerry Buttimer and Neil Richmond outside Leinster House on their recent visit. 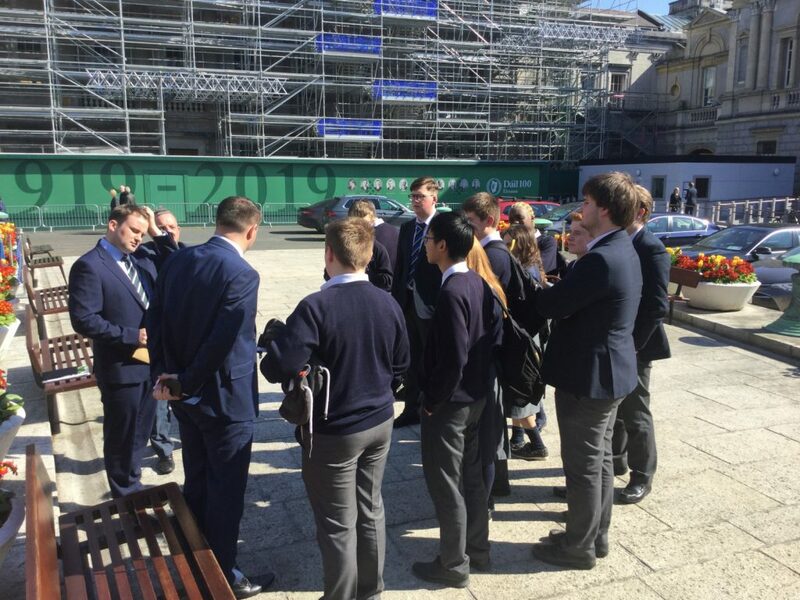 The students observed debates in the Dail and Seanad. 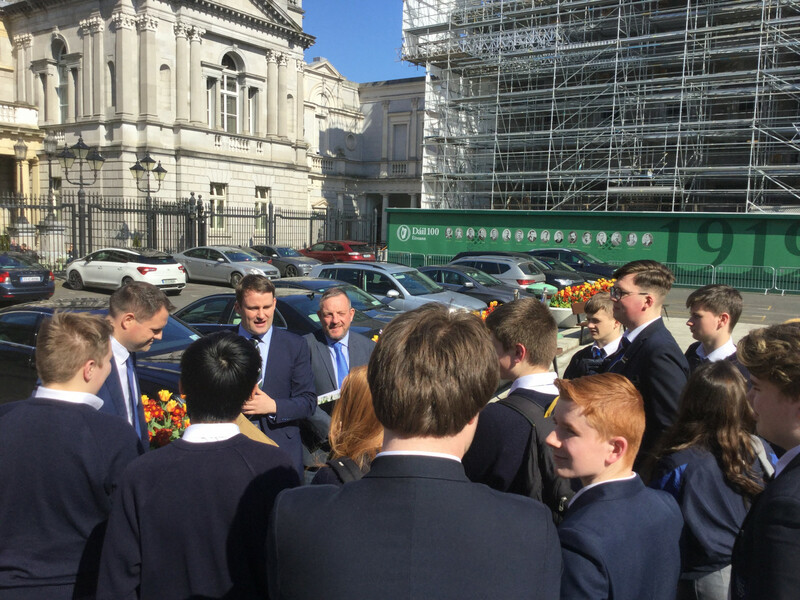 Throughout their visit, they met Declan Breathnach, Louth TD, Minister for Justice Charlie Flanagan, Senator Padraig O’Ceidigh, Peter Fitzpatrick, Louth TD, and a number of other political representatives. Declan Breathnach kindly treated them to soft drinks in the Dail Bar. They were even taken in to one of the committee rooms, where on the day the questioning of members of the FAI was taking place. Fergus O’Dowd, Louth TD, who was chairing the committee, welcomed them. As the students left the room, they met John Delaney, former CEO of the FAI, who was before the committee Hearing. A most interesting and informative visit for the students.